Make the dressing by combining the vinegar, lemon juice, mustard, and olive oil. Whisk thoroughly and season with sea salt and freshly ground black pepper to taste. 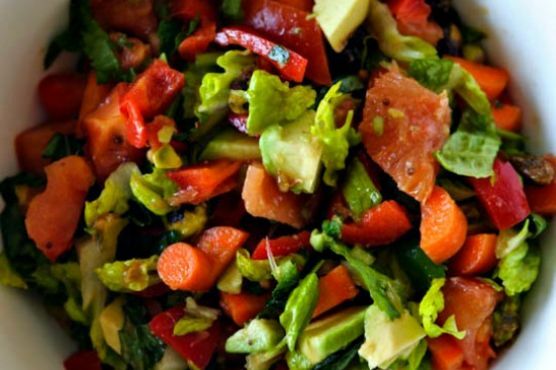 Make the salad by combining all of the ingredients in a bowl. Add the dressing and toss. Allow to stand for 10 minutes before serving. Salad works really well with Chardonnay, Gruener Veltliner, and Sauvignon Blanc. Sauvignon Blanc and Gruner Veltliner both have herby notes that complement salads with enough acid to match tart vinaigrettes, while a Chardonnay can be a good pick for creamy salad dressings.